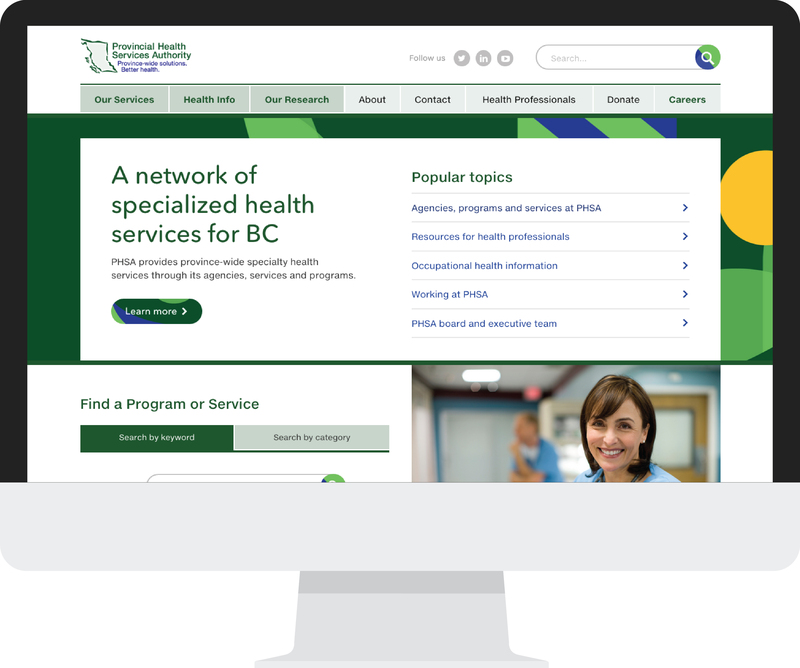 In 2014-15, PHSA undertook an enterprise web initiative (EWI) to address the website needs of all PHSA agencies. The project vision was to bring all sites onto one platform (Sharepoint 2013) to build an organization-wide web competency that would encourage regular content updates and ongoing, consolidated and cost-effective technical support. In the interests of branding, they also wanted to harmonize the “common look and feel” across all their properties, an interesting challenge since many of the sub-brands have very strong identities of their own. 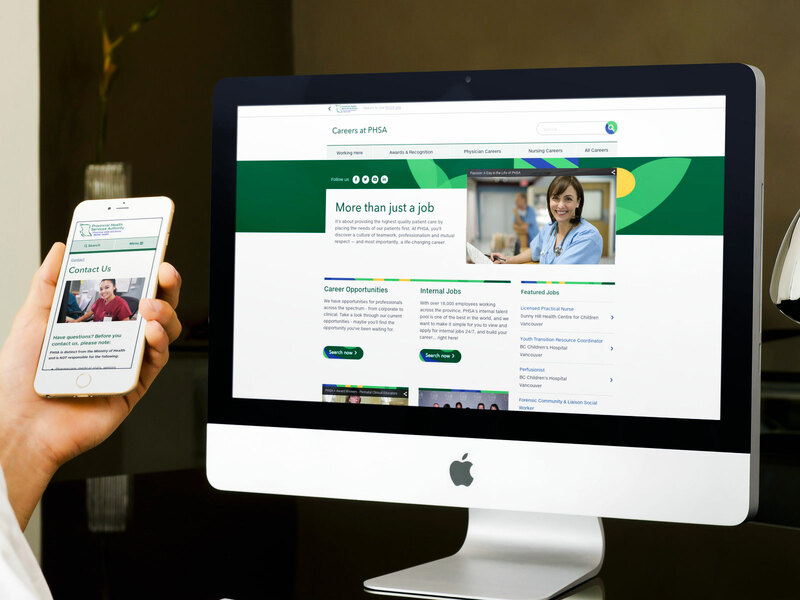 Lastly, the EWI wanted to create a similar user experience across the brand, culminating in an enterprise information architecture for all PHSA websites. This proved to be the biggest challenge of all. With so many unique and separate organizations coming together for this project, the list of stakeholders (and opinions) was long. The research and planning phase of this project was appropriately significant. 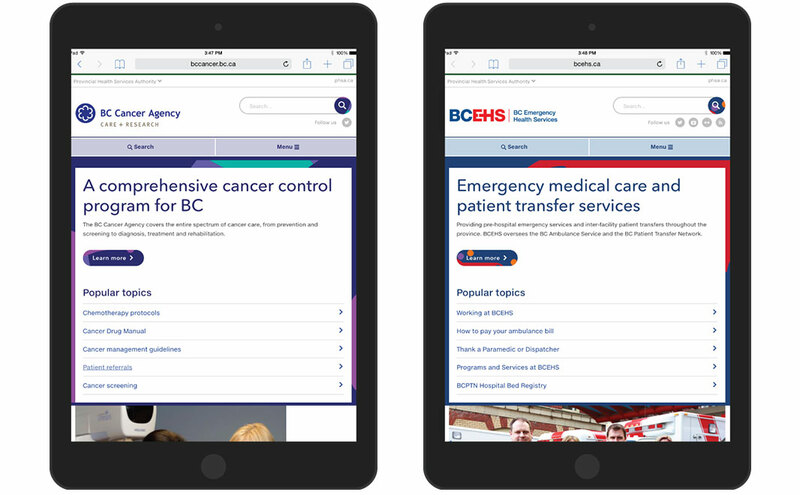 Prior to any discussion of UX or visual design, Signals worked with a core PHSA team to gather information through broad engagement and consultation with each agency. This included reviewing analytics and metrics, reviewing previous web planning efforts, facilitating user workshops, and tackling information architecture planning. 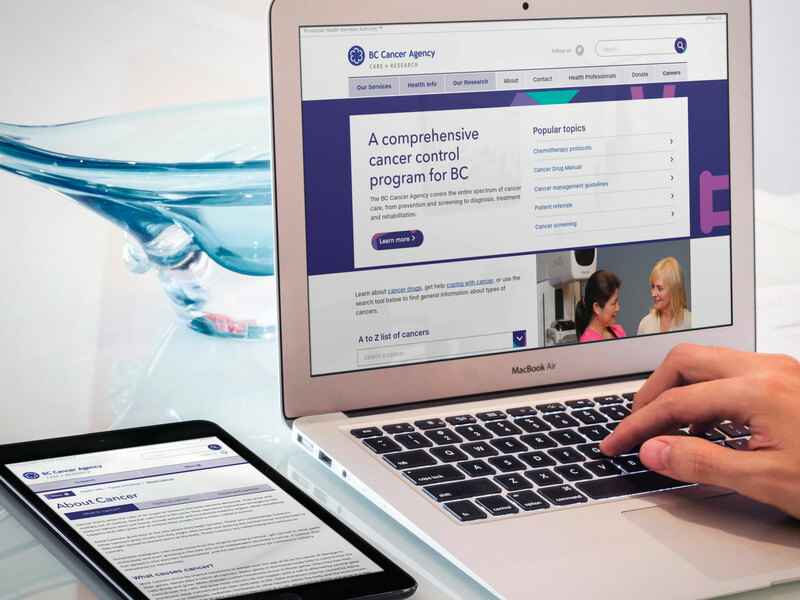 We were engaged to build one system for multiple sites, rather than multiple stand-alone sites, so a holistic understanding of every agency’s business goals was crucial. 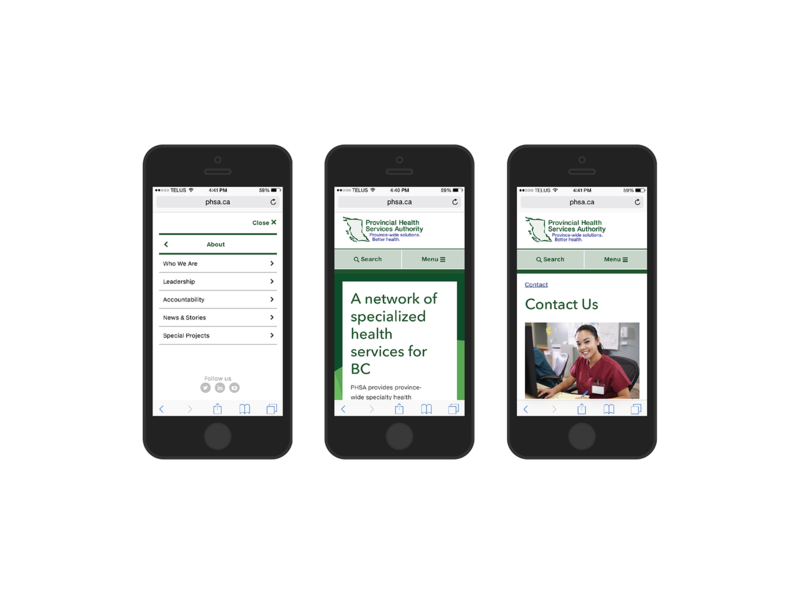 We knew that PHSA needed a common user experience across their sites, with an emphasis on their primary audience: patients and families. Using the model of other large organizations with multiple components, we created a consistent, high level information architecture (IA) across all agencies. This was quite a challenge as the sub-brands often had different audiences and use cases for their websites. But it forced us to focus on the qualities that made the agencies and services similar, rather than what made them different. Constraints can seem like a barrier to doing good creative work, but there are actually benefits to a limited canvas. On the plus side, imposing limitations drives innovation and forces focus. This can be especially useful in a large project with multiple stakeholders. Limiting certain choices can reduce the burden of making decisions and allows more time to be applied to the creation and follow through of the main objective. 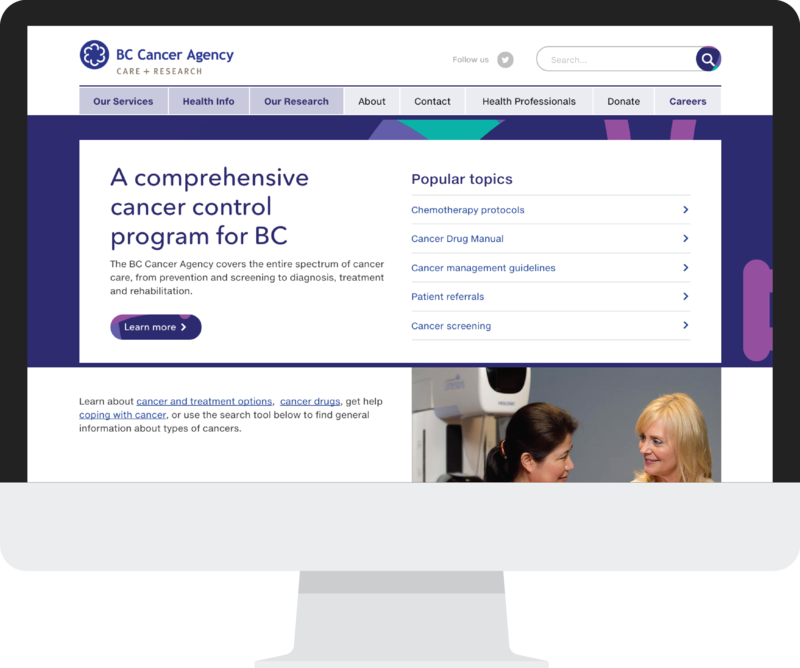 Through consultation and content analysis, we created a solution that delivered a global, enterprise-wide navigation, common look and feel, and unified experience for over 10 agencies and more than 15 programs and services. The system is also easily configurable for in-house developers to facilitate web site creation and updates, while maintaining a consistent interface and experience for users.